The Ruger SR1911 is precision CNC machined which results in a superior slide-to-frame fit and smooth slide travel. It features a skeletonized hammer, titanium firing pin, skeletonized trigger, flat main spring housing and Novak 3-dot sights. This NRA Special Edition features a red finished frame with special NRA4*** prefix serial number, black Nitride slide with the NRA logo and the second amendment on the left side of the slide. 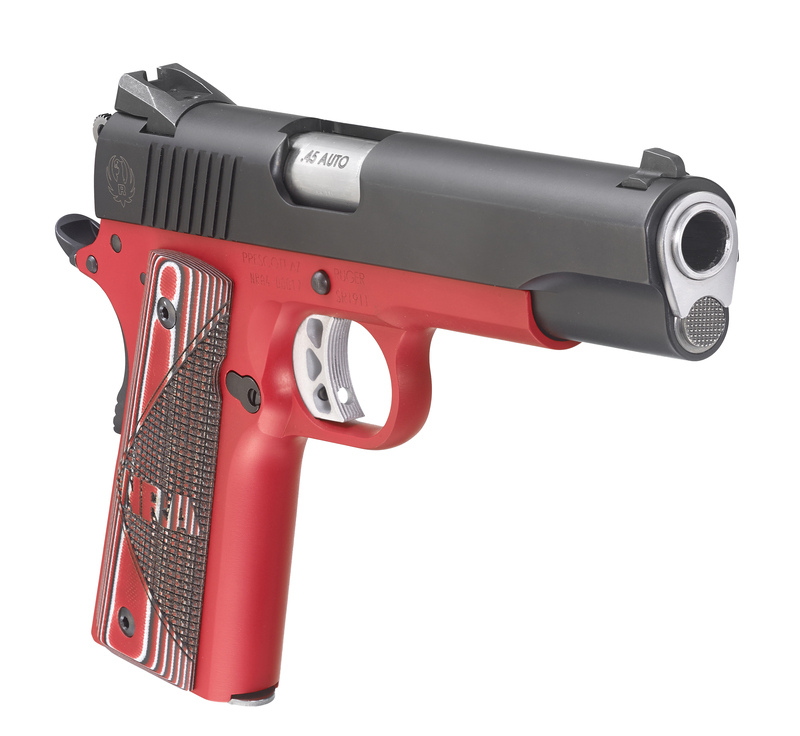 Red laminate grips with the NRA logo also help make this piece a sharp looking 1911. This NRA Special Edition ships in a special NRA box/sleeve with a 7 round and 8 round magazine. Both Davidson's and Ruger are proud supporters of the NRA our Second Amendment Rights. Davidson's and Ruger give to the NRA-ILA fund to help insure our Second Amendment Rights shall not be infringed upon.